Discover Seoul Pass is a convenient system and cheaper way to explore Seoul and more exciting travel attractions in South Korea. It is specially created for foreign travelers through the collaboration between Seoul Metropolitan Government and Seoul Tourism Organization. This ‘pass’ will make your travel and activities in Seoul a lot easier and more enjoyable. It is a practical way of purchasing or paying entrance fees at tourist attractions, buying food, taking public transport, taking a bicycle, and another usage. You can purchase this pass both online (before you come to South Korea) and offline when you arrive at Incheon International Airport (or Gimpo Airport) or any designated places and properties in Seoul and nearby districts. TIP: There are over 50 popular attractions in Seoul alone. Only pick the most popular ones and tourists favs, such as the palaces - Gyeongbokgung Palace, Changdeokgung Palace, Insadong, Leeum Museum, Korea National Museum, etc. Discover Seoul Pass can be purchased as a physical Card Pass or as a Mobile Pass which I will describe more in details below. It is a physical card that can be used as a Tmoney. You can buy it directly online/offline/ or through the smart phone app. If bought online you can pick it up at designated places. Use the voucher to pick up the pass at Incheon International Airport, Gimpo Airport Arrivals Hall, or at Myeong-dong Tourist Information Center, Seoul. 1. Pick up your pass at the International Taxi Information Desk East, next to Gate 5. The Desk is available 24/7 all year round. The other location is at Desk West next to Gate 8, which operates only from 9 AM to 9 PM. 2. You can also pick it up at Incheon International Airport Terminal 2 on the 1st floor (arrivals floor), ‘World Roaming’ booth next to Exit 6. The place operates 24 hours daily. 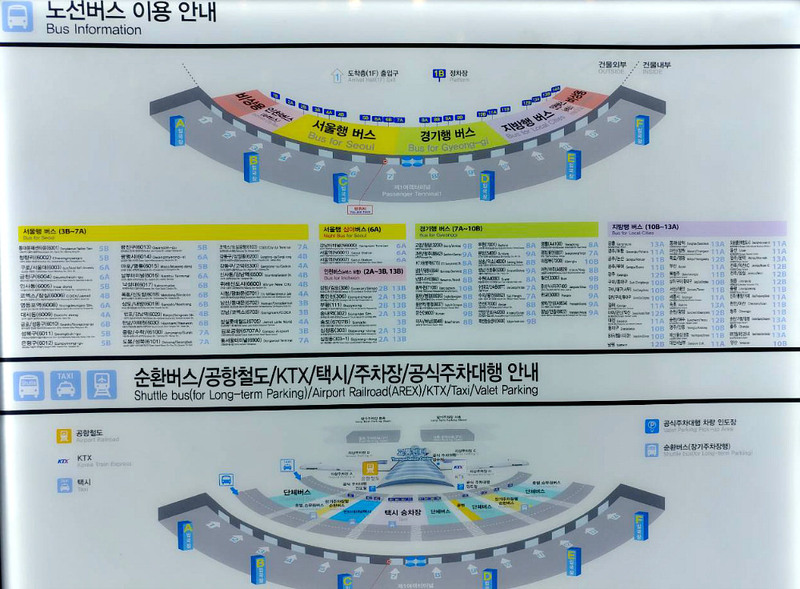 Go to Gimpo Airport’s International Taxi Information Desk to pick up your pass. It operates from 10 AM until 10 PM daily throughout the year. You can pick up your pass in Myeong-dong’s Tourist Information Center which is located at 66 Euljiro, Jung-gu, Seoul which is at KEB Hana Bank Main Office First Floor Annex. It is open from 9 AM until 8 PM. Note that this center is close during Lunar New Year’s Day and Chuseok Day. You may pay your Card Pass with a credit card, PayPal, or Alipay. KEB Hana Bank Currency Exchange Office, Arrivals Hall at Incheon Airport at four locations. Just ask any airport officer to point the closest location. CU Convenience Stores at the Arrivals Hall at Incheon Airport in 3 locations. Note that you need to present your pass card or mobile pass at the designated tourist sites to be allowed to enter. Present any of the passes at the ticket booth of each tourist sites. Then you will be giving an admission ticket to enter. At Express Line attractions, you don’t need a ticket but only present your pass at the designated gate. You can only visit each attraction once and when the designated period passed your pass will not function as an admission ticket. You have to find Discover Seoul Pass in the Apple App Store or Google Play then download it. Then log in with the account you used when you bought the pass or simply scan your Card Pass QR code. Then the app will synchronize with your pass and check time left and the attractions you have explored. *Note that you need to be connected to the internet or have data (or have a Pocket Wi-Fi) when checking the remaining time of your pass. First, you need to top (load or charge) at any convenient store, at subway station card reload machine (looks like an ATM), at bank ATMs, among other places. After loading your card, you can use it to board on a bus or subway by tapping it on top of a scanner. You can also use the Tmoney card in designated taxis. When buying at stores, look for Tmoney logo to make sure you can use it as a payment method. Or, do it quickly by asking the teller! Note: Only the Card Pass can be used as Tmoney but NOT the Mobile Pass. You can load or recharge the Tmoney (Card Pass) from 1,000 up to 500,000 Korean Won only at various places including those mentioned above. You can refund the pass within seven (7) days of purchase only. It can only be refunded if not opened or used even once. Lost passes cannot be refunded. You can collect an amount that remains, which is below 30,000 Won, at any convenience store or the service desk at a subway station (unfortunately you need to pay 500 Won as service fee!). In case your Card Pass is damaged, you will be refunded to the remaining amount by issuing a new Tmoney card if you haven’t finished your visits. Please, see more details at discoverseoulpass.com for your information. Gyeongbokgung Palace, Deoksugung Palaces, Changgyeonggung Palace, Changdeokgung Palace, Jongmyo Royal Shrine, N Seoul Tower Observatory, Leeum Samsung Museum of Art, MBC World, Grevin Museum, Trickeye & Ice Museum, and more. TIP: You can actually save if you plan to visit only those places that attract you as there are too many places and you don’t have enough time. 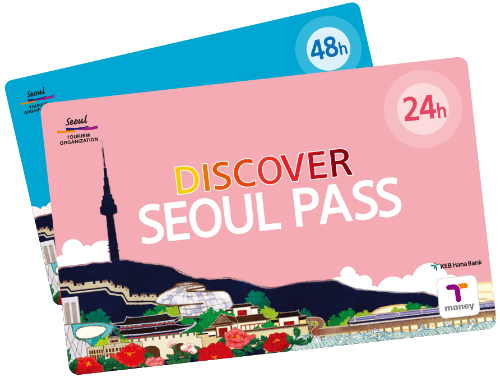 Visit the Discover Seoul Pass website to see which attractions you prefer to visit. Do this in advance before your visit! Hello Kitty island in N Seoul Tower, Dynamic Maze, Poopoo Land, National Gugak Center, Musical Chef, SAFES, The Painters Hero, JUMP, Doota Duty-Free, Fanta-Stick Musical, Kum Bak Yeon - Gold Leaf, Lotte World Adventure, Seoul Sky, and more. Various Pass Types. Yes, you don’t need to pay in cash when moving around Seoul area - buying things, visiting attractions, or taking transport. Instead, you will use your Card Pass or Mobile Pass to be more convenient. Transportation Card Function (Tmoney). You can use the Tmoney card when boarding on the subway, bus, taxi. Free One-Time, One-Way AREX Ticket (express train). You can take the Airport Railroad Express Train from Incheon Airport to Seoul Station for FREE (for a value of 9,000 WON). Mobile Pass: same hours and rates as Card Pass are available. Note that only Card Pass can be used as Tmoney (to be loaded) and not the Mobile Pass. A Tmoney card can be used to buy at most convenient stores (with Tmoney logo), pay a taxi (not all taxis), buses, subways, and other places.